On Thursday August 16th, WagonWheel Presents… welcomes Old Man Luedecke to The Greystones, Sheffield for the first time. One of Canada’s best loved and most intriguing roots singer-songwriters, the banjo players memorable melodies, poetic sense and easy charisma appeal to anyone searching for new growth from old roots. Support comes from Richard Kitson. Advance tickets priced at £8 are available from http://www.wegottickets.com/event/172031 and over the bar at The Greystones. Entry on the night will be £10. Doors open 7.30pm for an 8pm start. Old Man Luedecke, is one of Canada’s best loved and most intriguing roots singer-songwriters. “An original, he is a musical singularity to be savoured and shared”, says the Vancouver Folk Festival. 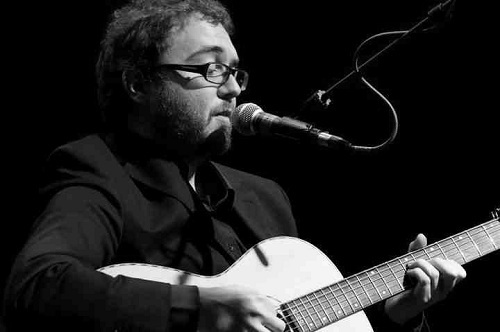 His memorable melodies, poetic sense and easy charisma appeal to anyone searching for new growth from old roots. Old Man Luedecke was born in Toronto but has made his home for years in the music rich maritime province of Nova Scotia, on the east coast of Canada. There his music has been wholeheartedly adopted and is becoming representative for its traditional storytelling folk elements. It speaks to a new generation of people craving such meaning in their music. Woody Guthrie and Pete Seeger with maybe a hint of Loudon Wainwright III. 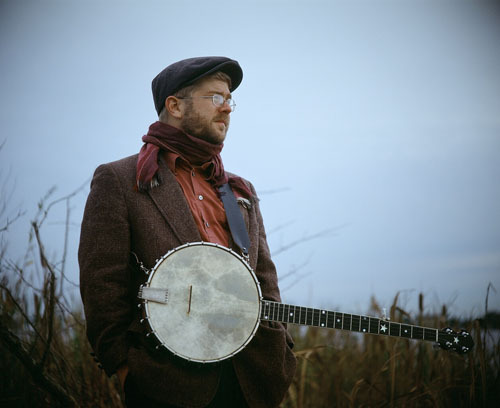 But it’s Luedecke’s contemporary lyrics coupled with the irresistible rhythm of the old time banjo that connect and make him so loved with his audiences. Anchored in his music’s melodic confidence is an ability to tap into a common muddled and dark search for meaning. This keeps people singing his songs and praises after he’s travelled on. His performances are exciting and totally entertaining. His uncliched banjo playing sparkles beautifully and dynamically. This coupled with his thumping foot creates a complete sound. People are drawn into singing along. His singing is his own. Clear and unadorned it is totally emotive and suits the sincerity of his tunes. 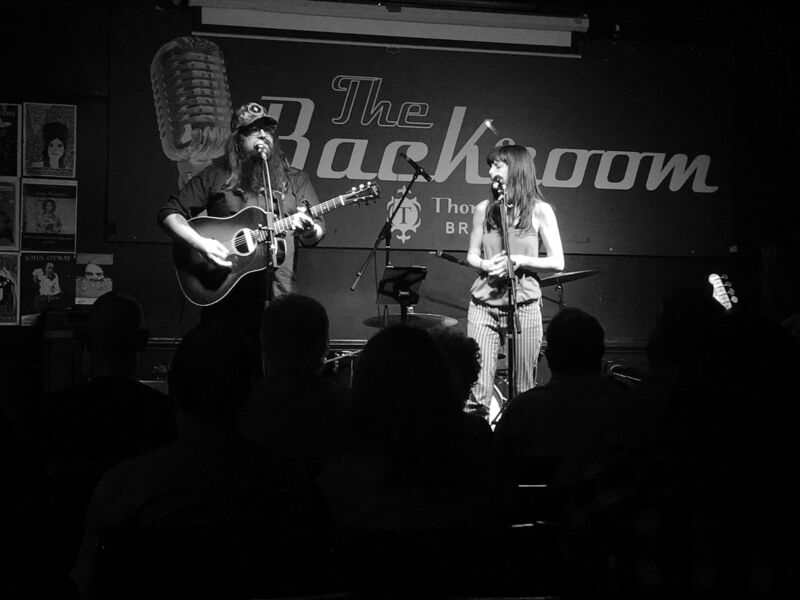 In the breaks between songs come wild and charming stories of meeting heroes and easygoing but gripping musings on things ridiculous and sublime that may have a wink of contemporary vaudeville. Equally at home on festival main stages, theatres and living rooms, he can hold court in the occasional indie rock bar. Luedecke has been a featured performer at all the major folk festivals in Canada and Australia and an increasing number of American festivals, like Strawberry in California. He has appeared with and shared the stage at concerts and soft seaters with such performers as Feist, Tim O’Brien, Joel Plaskett, David Francey, Buck 65, The Be Good Tanyas and Jill Barber. He’s shared festival stages alongside Bela Fleck, Tim O’Brien, Jack Elliot, Kris Kristofferson, Ashley MacIsaac, and countless others.